The American Animal Hospital Association recently updated its dental care guidelines for veterinary practitioners. 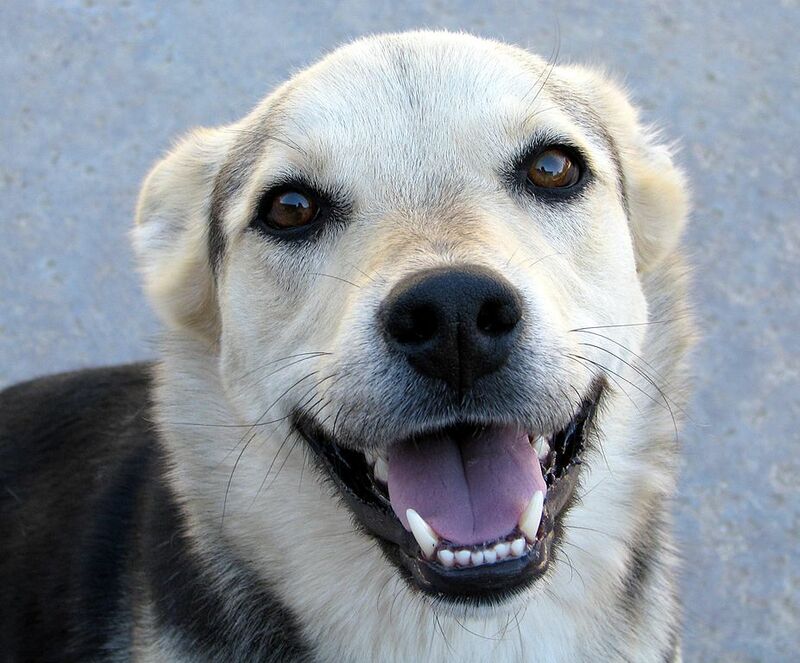 They have also created a helpful factsheet for dog and cat owners based on the guidelines. 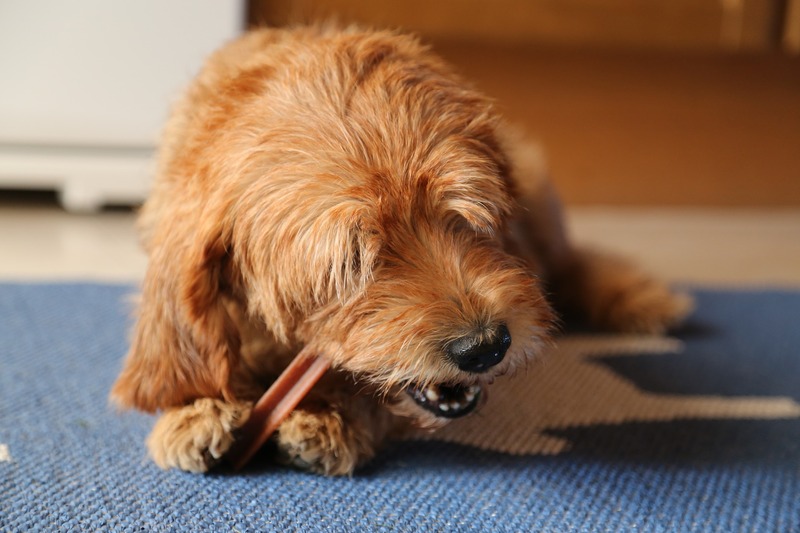 Here’s what you need to know to keep your pet’s teeth and gums healthy! Dental disease starts early, and most pets will have some issues by the age of three. Your vet should check your pet’s teeth at every preventive care visit, regardless of age. Dental problems can cause chronic pain, which many pets are good at hiding. Observe changes in your pet’s behavior and appetite. X-Rays can help your vet confirm a diagnosis of dental disease, even when your pet’s teeth look normal. While many owners are nervous about anesthesia, it is important for your pet to remain still and comfortable during dental procedures. Your vet will perform bloodwork to ensure that your pet is healthy enough for anesthesia. Even if you brush your pet’s teeth at home, dentals are effective in removing plaque from under the gumline. Your vet may prescribe pain medication for you to give your pet at home after a dental, especially if any teeth were extracted. Home tooth brushing is the best way to help maintain your dog or cat’s oral health between vet visits. Choose brushes and pastes made for pets and look for dental health treats and chews that are accepted by the Veterinary Oral Health Council. There’s a lot of information out there about the health problems associated with flat muzzles (called brachycephaly) in certain dog breeds such as the Bulldog, Pug, and Shih Tzu. 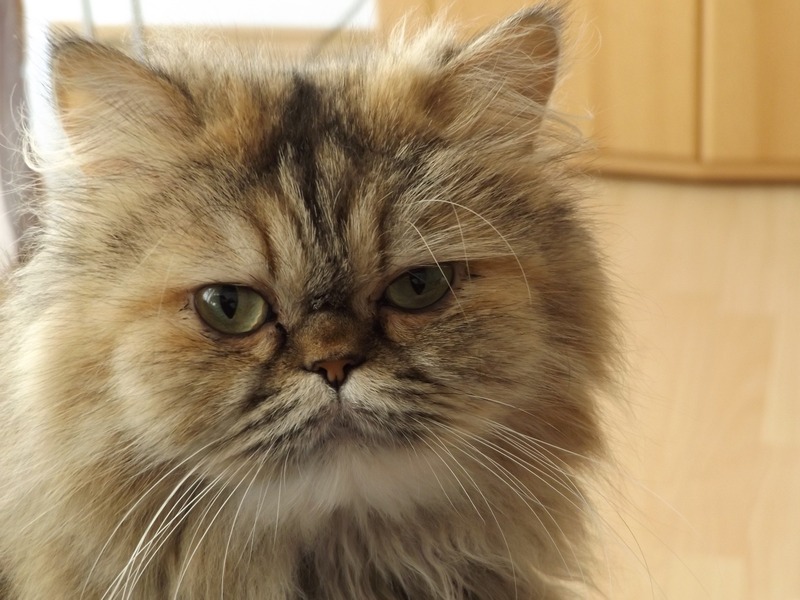 But did you know that flat-faced cats, especially the Persian and the Exotic Shorthair, also suffer from health problems tied to brachycephaly? Brachycephalic animals can suffer from a wide range of problems, including obstructed airways and reduced oxygen to the lungs, protruding eyes that are vulnerable to injury, heat stroke, gastrointestinal problems, and exercise induced collapse. Another common health problem associated with brachycephaly in dogs and cats is dental disease caused by the physical structure of head and face. 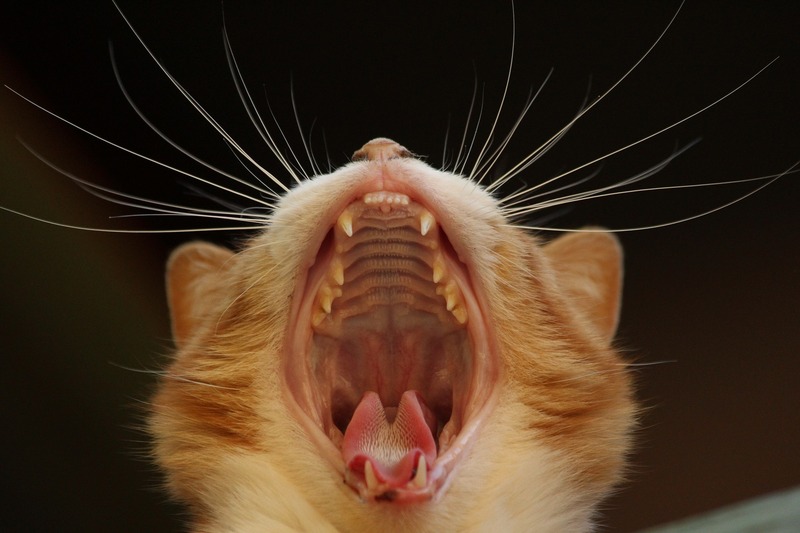 Two of the most common problems are malocclusion (misalignment) of the canine teeth (found in 72% of cats in the study) and overcrowding of the incisor teeth (50% of the cats). Other problems include crowding of the molars and premolars and having at least one tooth with some sort of positional change, such as orientation, rotation, or impaction. 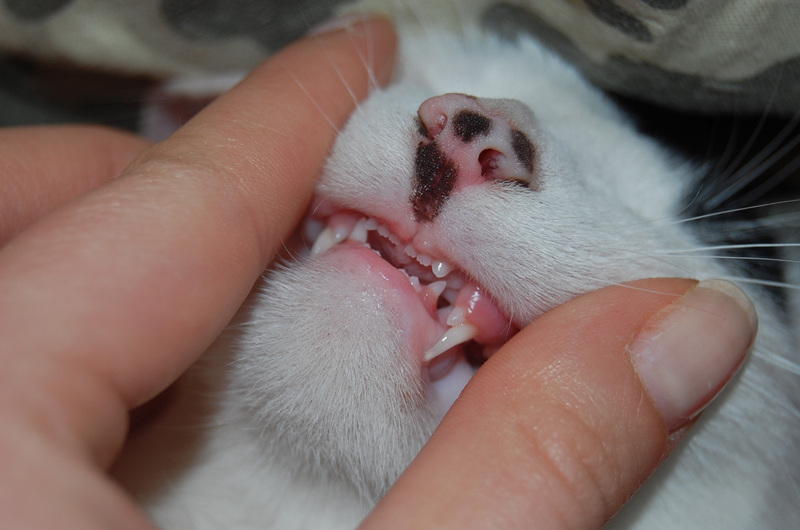 Anther anomaly seen in these cats is hypodontia (absent teeth). 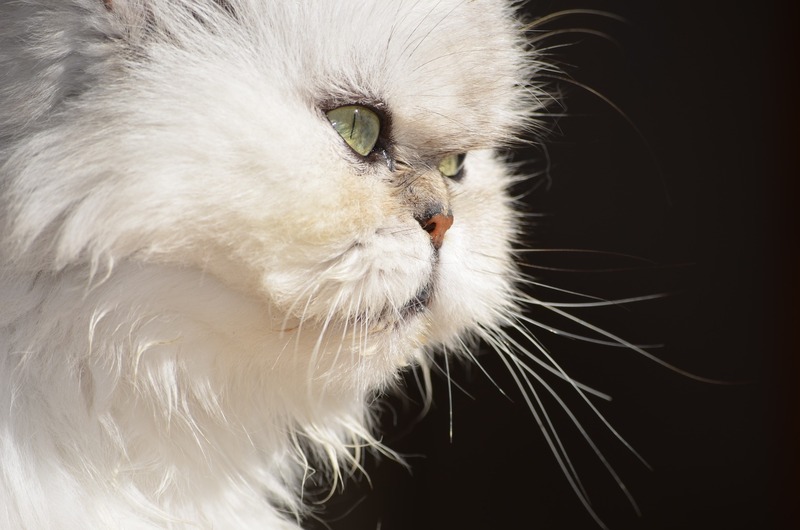 What about gum disease in brachycephalic cats? 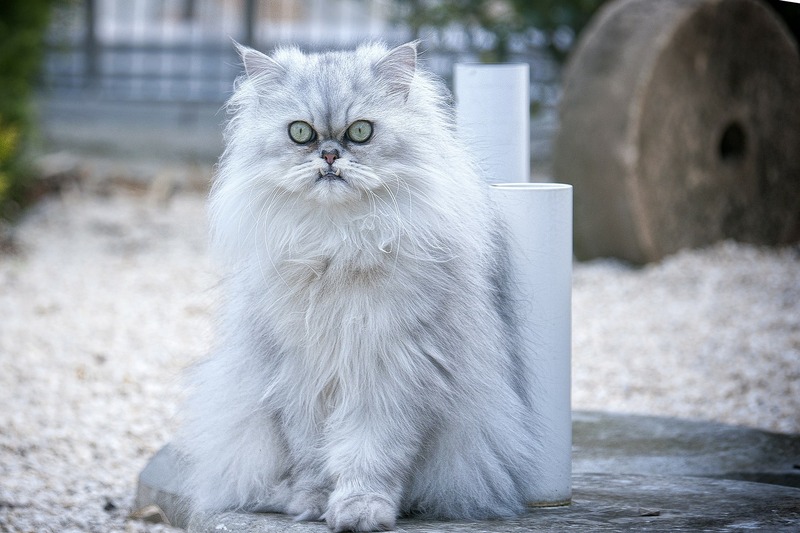 The researchers found that 88% of the cats in the study had some degree of periodontal disease. Many also had inflammatory tooth resorption. 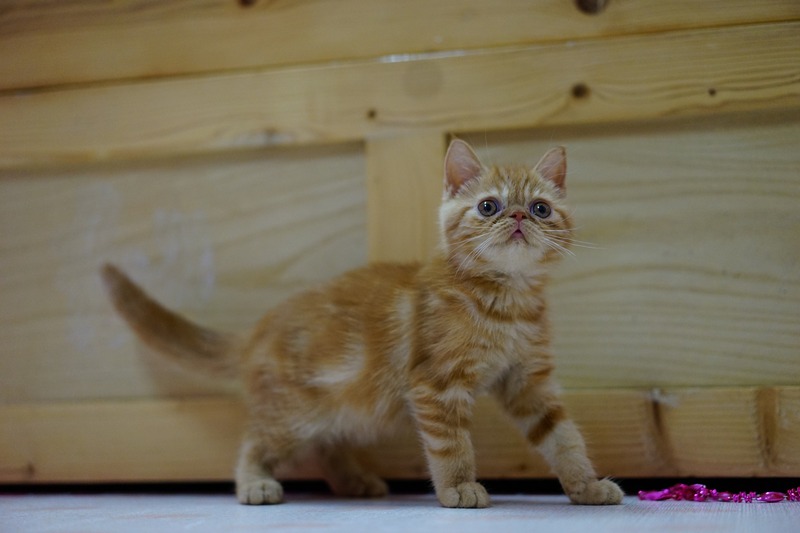 Do you have a Persian or Exotic Shorthair cat? Make sure regular tooth brushings and dental checkups at the veterinarian’s office are part of your cat care routine. 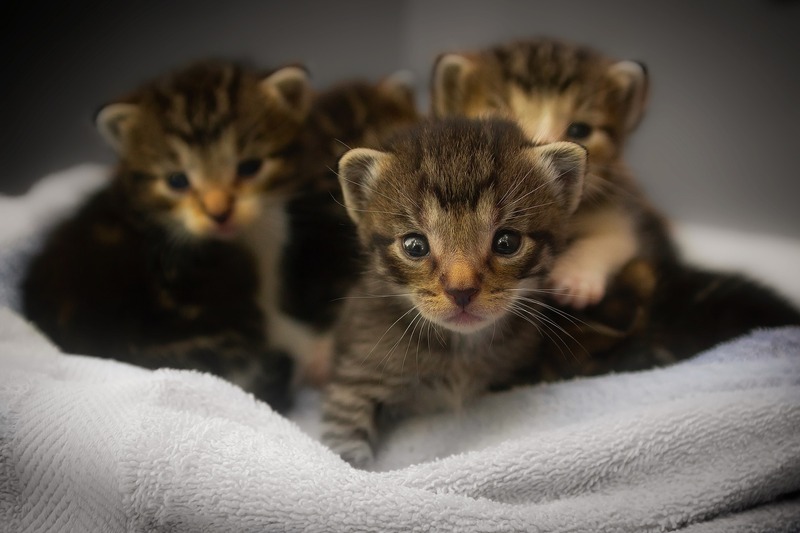 The American Association of Feline Practitioners has outlined the 6 distinct cat life stages, and what cat owners can do to provide the best care for their cats at each stage of life, from kittenhood to geriatrics. Here’s a quick overview, and be sure to visit the AAFP website for the full details, and for lots of other useful cat care information as well! Kitten (0-6 months): This is the easiest stage to introduce your kitten to children and other pets. It’s also the best time to establish a regular routine for nail trimming and tooth and coat brushing. Teach your kitten to become comfortable with the carrier and rides in the car. 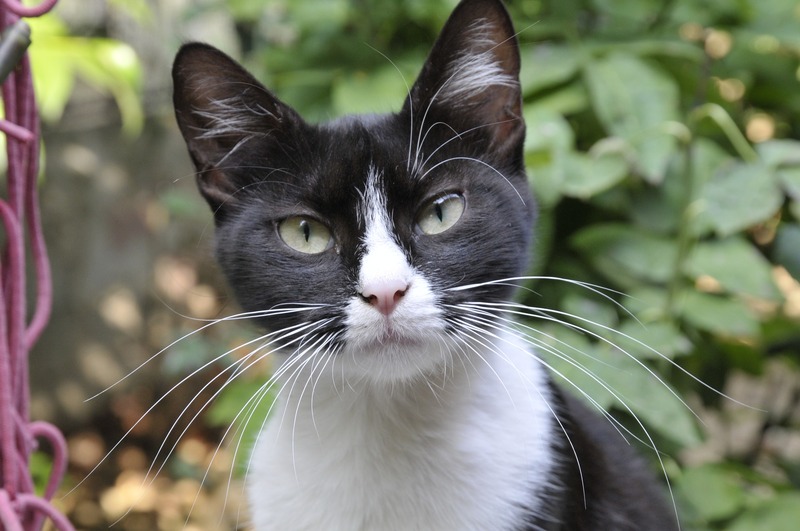 Junior (6 months-2 years): Cats become sexually mature as young as 6 months of age, so be sure to have your cat spayed or neutered by this stage to avoid unwanted litters and improve your cat’s behavior. Prime (3-6 years): While cats are often at their healthiest at this stage, it’s still important to bring your cat to the veterinarian for regular wellness checkups and preventive care like dental cleanings. Mature (7-10 years): Some cats become more sedentary and less playful at this stage. Be sure to keep your cat at a healthy weight to avoid the health problems associated with feline obesity, a common problem in older cats. 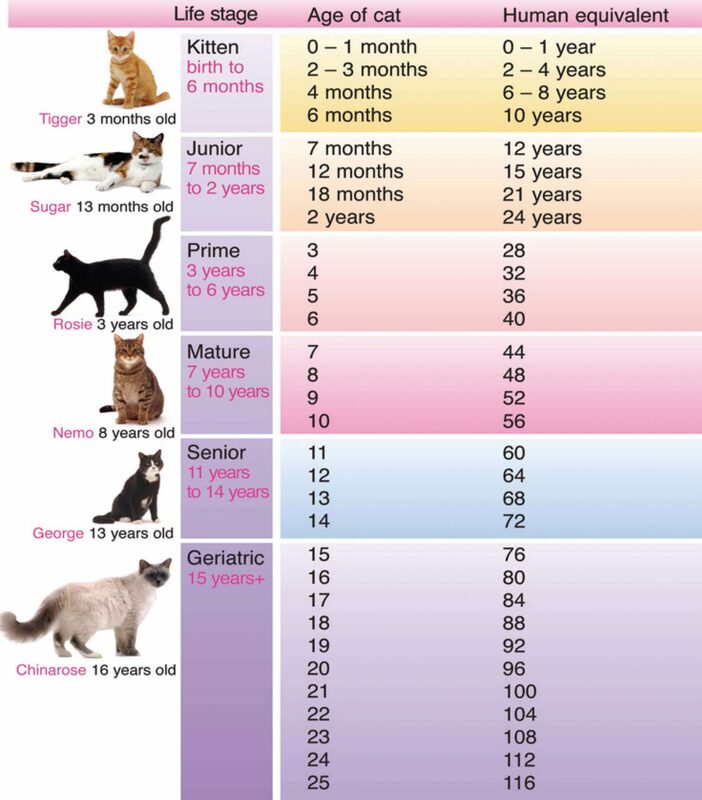 Senior (11-14 years): Cats at this stage are roughly equivalent to human seniors in the 70+ age range. Consider increasing vet visits to once every 6 months at this stage of your cat’s life. Geriatric (15 years and over): While the average cat lifespan is around 15 years, many cats can live well beyond their teens and into their 20s. 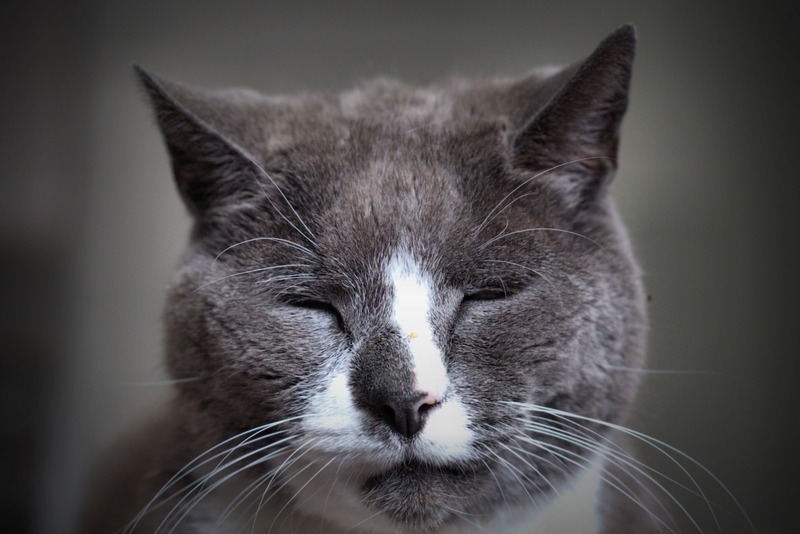 Monitor your older cat for health and behavior changes and talk to your vet about managing chronic health issues. If It’s February, It Must Be Pet Dental Health Month! February is National Pet Dental Health Month, and the perfect time to get in the habit of brushing your pet’s teeth (if you don’t already), and scheduling a dental appointment with your veterinarian. 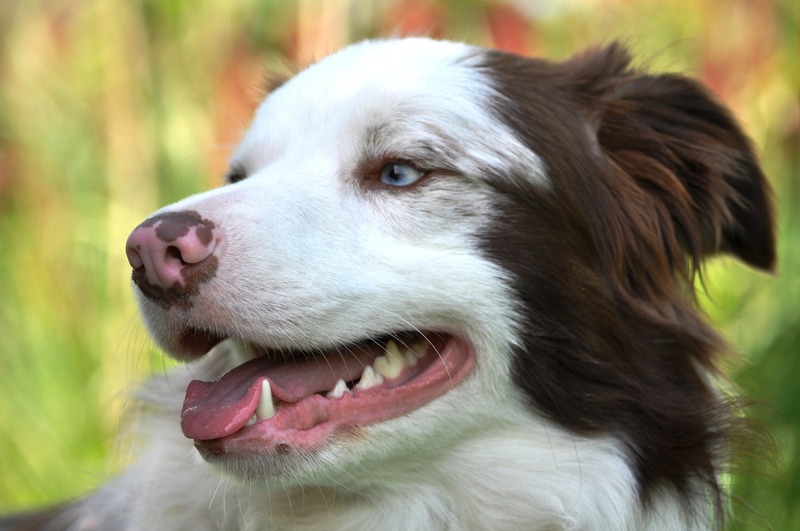 Just like your own dental health, your pet’s dental health is important too. Tooth decay and gum disease can cause your dog or cat discomfort and other serious health problems if an infection in the mouth spreads. The American Veterinary Medical Association has a webpage devoted to Pet Dental Health Month, with lots of useful resources for pet parents. To get you started, they have posted this pet tooth brushing how-to video on YouTube. Happy brushing! 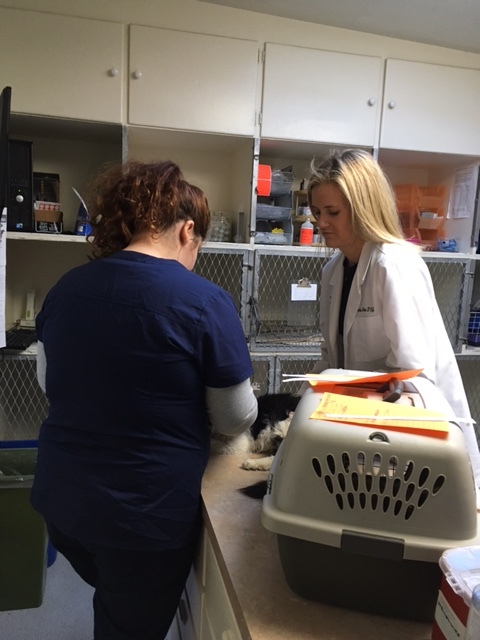 FACE held its first-ever cat dental clinic this month, treating four kitties who received past grants for emergency veterinary care, to ensure that these grantees could continue to lead healthy lives. 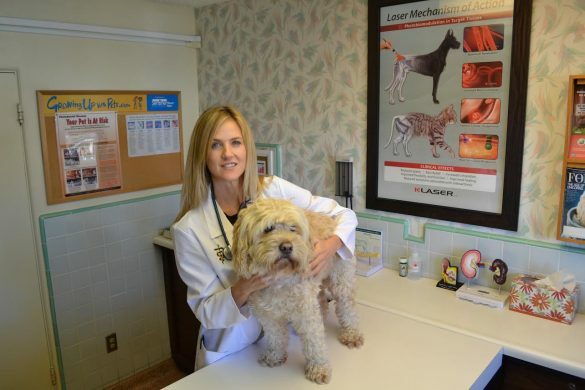 This clinic would not have been possible without the generous assistance of Dr. Carrie Bone and her colleagues at La Jolla Veterinary Hospital. 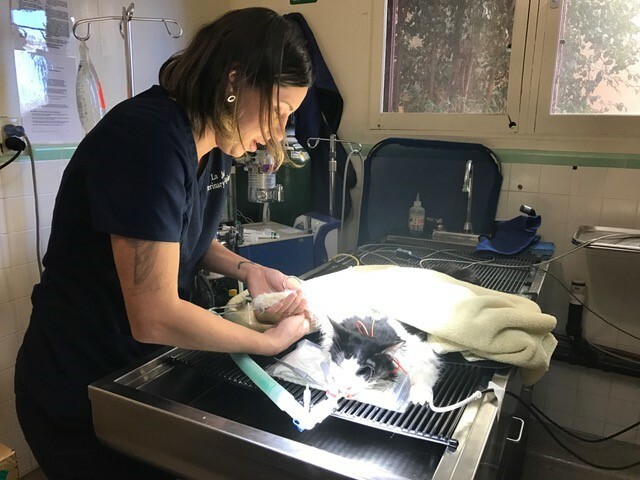 They donated their time and expertise, and along with funds from Roxy’s Dental Fund (which assists FACE grantees with dental care costs), these deserving kitties were able to get much-needed dental care. 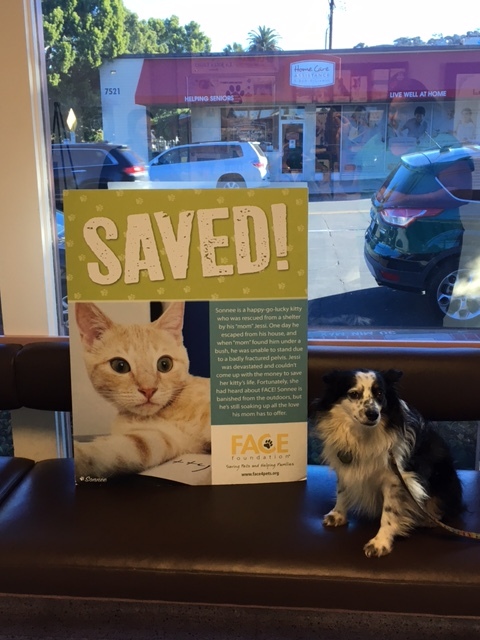 La Jolla Veterinary Hospital has been a long-time supporter of FACE’s mission to provide financial assistance to families with pets who need life-saving veterinary care. While their particular clientele does not necessarily need this assistance, the practice is committed to helping pets in need whenever they can. Dr. 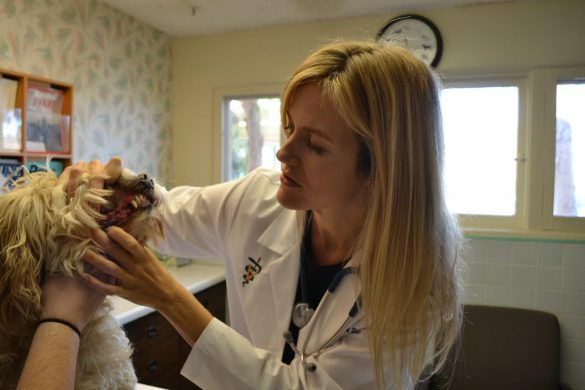 Bone joined La Jolla Vet one year ago, after practicing for 10 years in North San Diego County, and has enthusiastically embraced the cause. When not working, Dr. Bone enjoys spending time with her dog “Larry Bird”—a terrier mix whose handsome good looks *almost* make up for his naughty behavior! She loves taking him out on neighborhood “smell-a-thons” and also likes to go to concerts and surf. 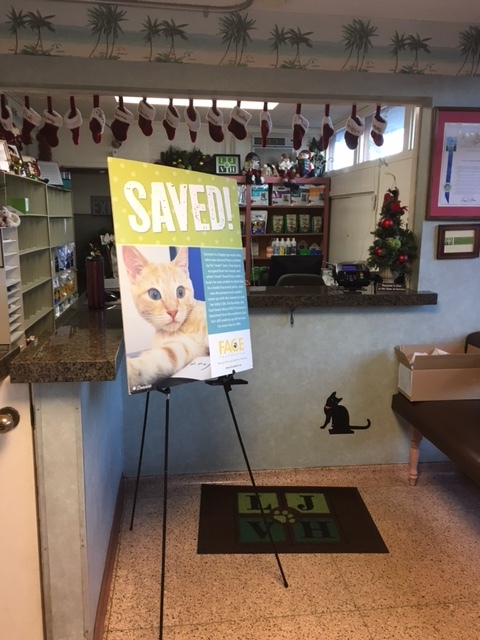 FACE thanks Dr. Carrie Bone and everyone at La Jolla Veterinary Hospital for making our first cat dental clinic possible, as well as for all of the generous support they have provided over the years. We couldn’t do what we do without our amazing veterinary partners and we are grateful for their dedication and support!